Very warm, spacious, attractive family home with a combination of contemporary and rustic elements. 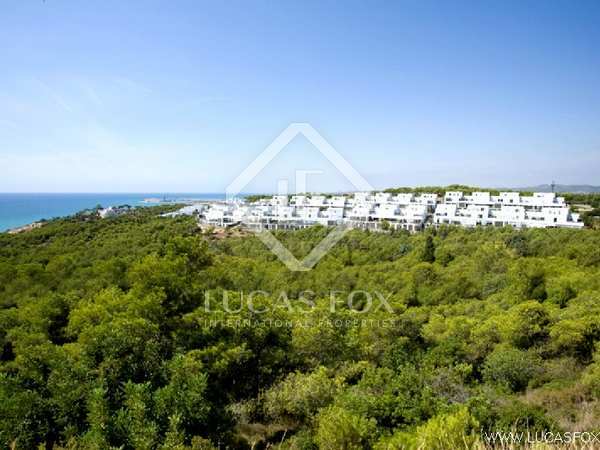 Located in Els Cards with incredible panoramic views of protected natural areas both to the front and rear and all the way to Sitges and the sea. 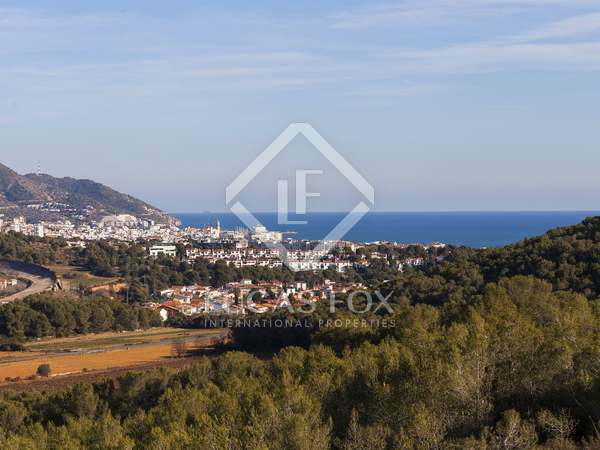 Detached house with excellent outdoor space and panoramic sea and mountain views, for sale in a quiet residential neighbourhood close to Sitges. 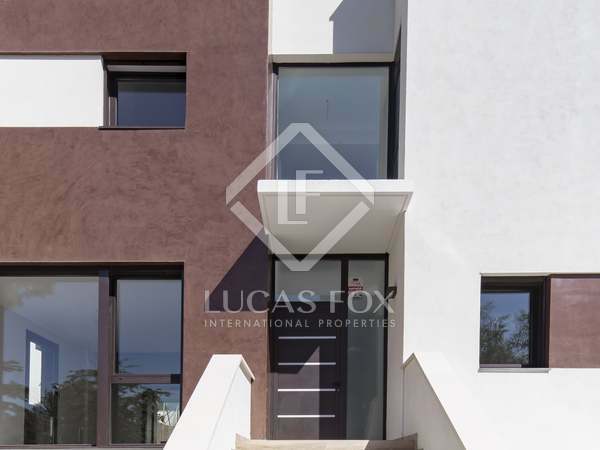 Unique, German design villa with modern finishes, generous terraces and a pool in Mas d’en Serra, Sant Pere de Ribes. 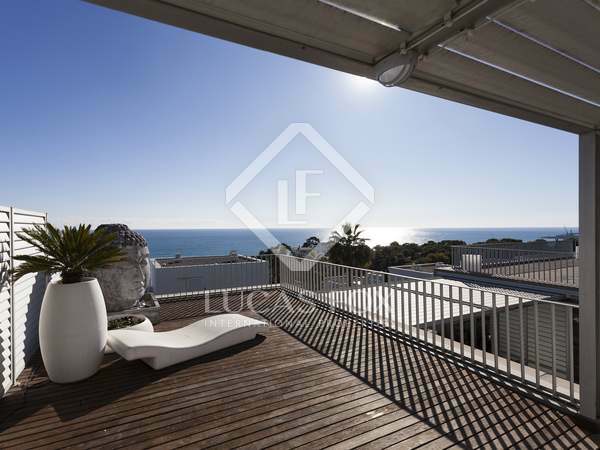 Spacious family home surrounded by nature and just minutes away from Sitges and the beach. 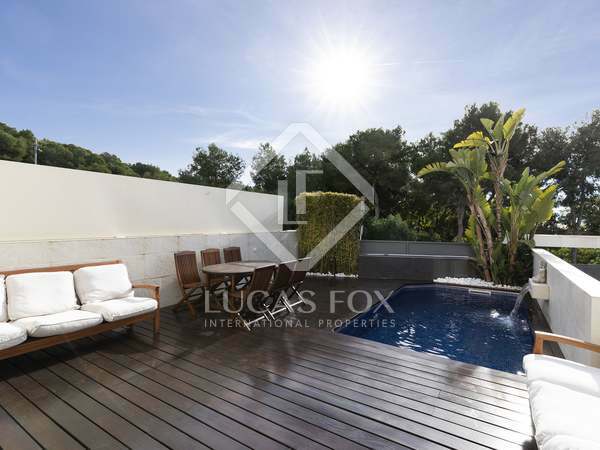 Brand new 4-bedroom villa with a private garden and pool, for sale in Els Cards, a peaceful residential area close to Sitges. 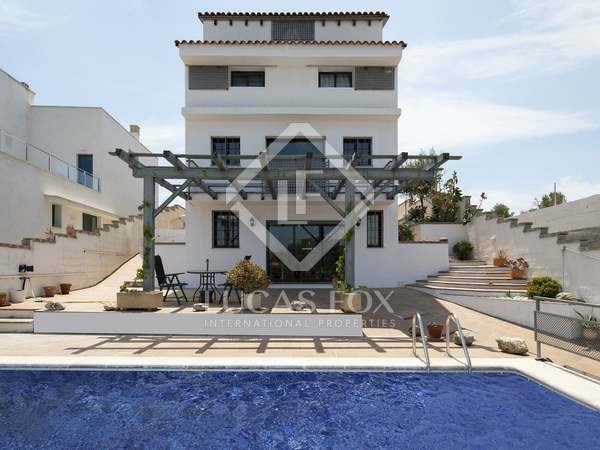 Modern 5-bedroom semi-detached villa for sale with a garden and pool, for sale in Els Cards. 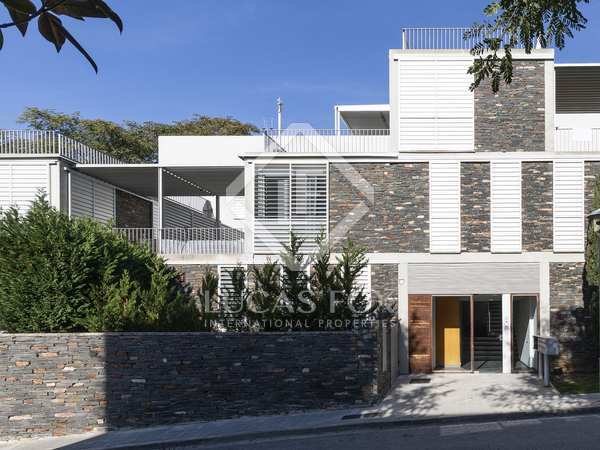 Contemporary style 5-bedroom semi-detached villa for sale with a garden and pool, for sale in Els Cards. 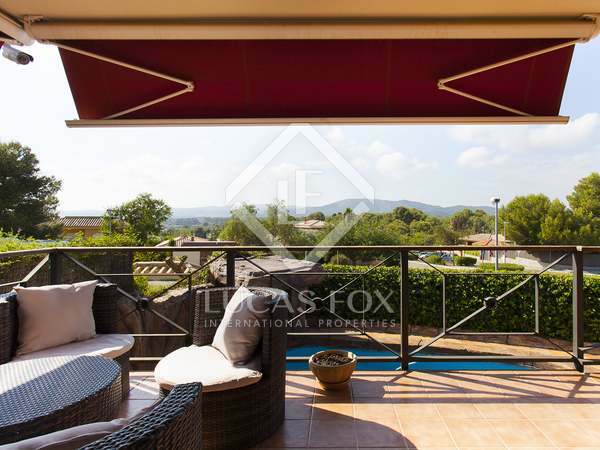 4-bedroom semi-detatched villa for sale with stunning mountain and sea views, for sale in Mas d'en Serra, Sant Pere de Ribes. 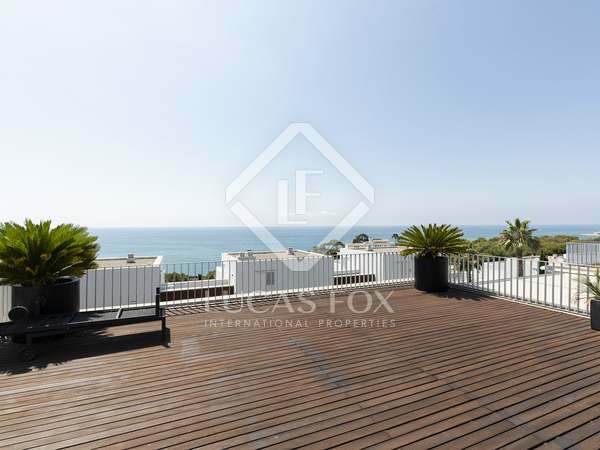 Rustic Spanish style corner house with 5 bedrooms and quality finishes, a pool and magnificent views, for sale in the residential area of Els Cards, Sitges. 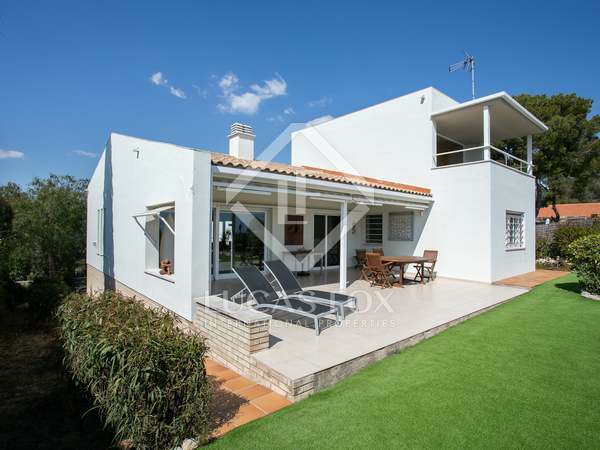 Spacious family house on a good plot with a garden and pool in Mas d'en Serra, Sitges, surrounded by protected green lands with great sea views. 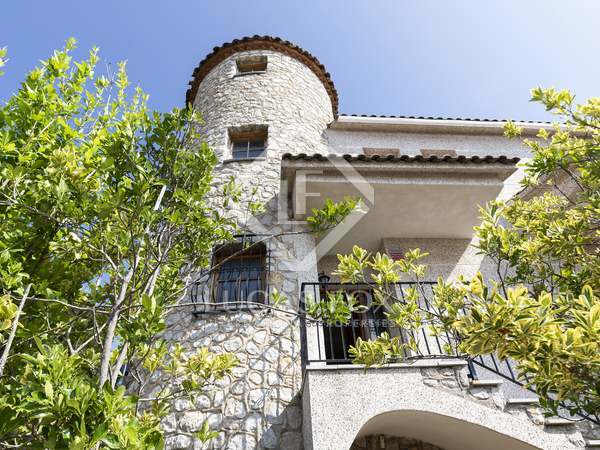 Traditional detached house in impeccable condition with some sea and mountain views in Mas d’en Serra, 5 minutes’ drive to Sitges centre. Unique villa on a generous plot in the peaceful Mas d'en Serra area, minutes away from Sitges.